Star AKA Fresh is one of those real talents that arise from the inner city Streets. Only 24 years of age she is a fresh new face on the scene and has that creative mind that combines street edge lyrical Combat with a slick witty character. Modeling herself like no other, Star AKA Fresh is officially ready. Star writes her own material (which she has adapted to laying down her lyrics with out a pen and a pad ala Jay Z), as well as helping to destroy the concept that females can't hold It down in the rap industry. Relocating to Miami where she found her uncensored image and evolved in to a lyrical beast eliminating all limits previously indicated by the rap game.Star has that down south swag with a NY projection and a verbal charisma that captures ears all the way to the west coast. While she was still the young Baby T, she was being classified as "What's next for the females in the Streets & beyond," for her uncut rapping ability. Star AKA Fresh is ripping the scenes demanding attention showing the world what an opinionated, image suppressed, verbally wreck less stud can offer to educate and entertain the world with her tribulations and rock star story lines. She has made her name heard through out Florida by performing and battling at Hot Import Nights as Boost Mobile's 2x Freestyle Champion at the Orlando convention center, and headlined alongside Trina at the Miami convention center with both venues having crowds of more than twenty thousand each. She continues to defend her undefeated title as the 2x Boost Mobile Freestyle Champion. She also accumulated a large buzz from the group project "FlyghTeam" with Lexx Rugga & Milo Stokes (Son of Chris Stokes) in 2010. Following the "Flyghteam" project, Star released a highly anticipated solo project entitled "Murder She Wrote" in 2011 Which turned out to be a very successful underground mixtape posted on many popular hip hop blogs and websites. After taking a break to birth her daughter Karmiyah, Star once again came back with a highly anticipated album entitled "Fame and Heartbreak" in 2012. 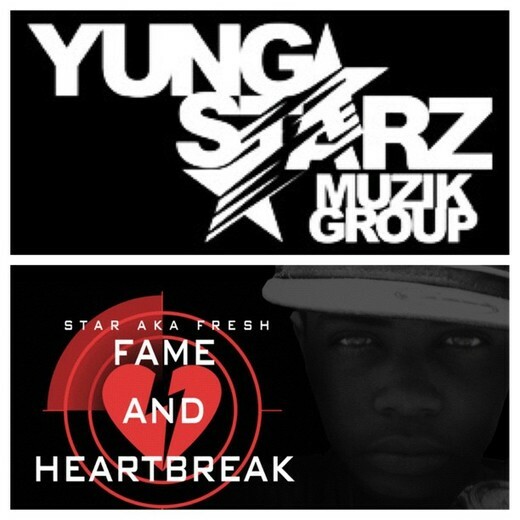 Now working under her own label Yung Starz Muzik Group (YSMG) where "It's Not Just Music Its a Movement!" She continues to kill the stage and consistently release new music for her fans. She is Living in Miami, FL as a Song Writer/ Entertainer, Developing and Promoting new artist alongside working on a new clothing line entitled "Shore Side Life" For the Young, Prosperous & Fly.